Whooummm! With that sound, wherever you were in your Mac, the Front Row interface swung into view. Front Row was fab. Introduced first on the iMac G5, this was Apple’s “10-foot UI,” a way of interacting with your music, movies, and photos in a simplified interface so that you didn’t have to be sitting directly in front of it with a keyboard and mouse. Instead, you could lounge on the sofa and use Apple’s dinky new infra-red remote control to play DVDs, podcasts, shared music from other iTunes Libraries on your network, to bore your friends rigid with slideshows of your holidays in iPhoto, and more. Unsurprisingly, it was Front Row, as much as anything, that got folks thinking about using a Mac as a media center, and it was a great way of giving a new lease on life to a Mac after you’d upgraded to a newer model. Or indeed, you could do what I did and use it as an excuse to buy a new Mac—in my case, a little Intel Core Solo Mac mini, which spent years hooked up first to a huge, fuzzy 21-inch Philips CRT TV, and later a 32-inch Samsung flatscreen which, in hindsight, had gigantic bezels. And I loved it. I plugged an Elgato EyeTV stick into the back and we’d use it to watch live broadcast TV—with the added bonus that we could pause it as sirens screamed past the window of our London flat at all hours of the day or night. It was Front Row, though, that was the real star. 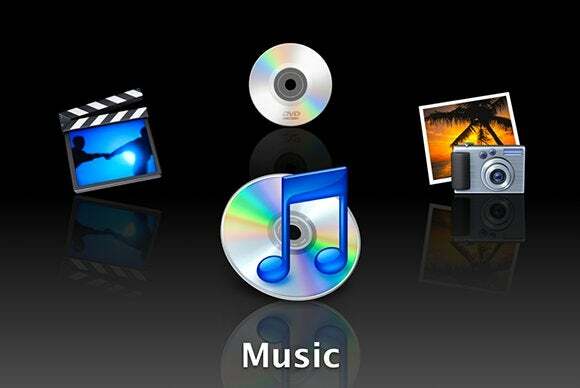 With it, it was trivial to pick tunes to play from my Library on my Mac, from my wife’s Library on her Mac, or our communal Library on the Mac mini itself, and watching DVDs—quaint though that sounds now—was simple and reliable. The simple little remote control was a cinch to use by feel alone, and didn’t distract or confuse you with a splatter of extraneous buttons. (It could get easily lost, mind, but my little hack for dealing with that was matching Velcro pads on the remote and on the edge of our coffee table.) Plus, there was endless prank potential in pressing the Menu button in an office full of Macs to trigger Front Row to appear—since by default, Macs would accept the IR command from any remote. Front Row, sadly, doesn’t exist any more; it was dropped by Apple in OS X 10.7, partly because its “digital hub” strategy was being deprecated, and partly, presumably, because the Apple TV was becoming Apple’s focus. 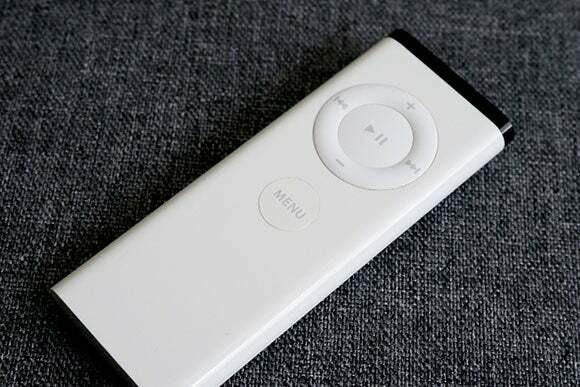 And truth be told, when I finally broke and bought my first Apple TV—I’d held out until the third generation—I was quietly, secretly pleased to be relieved of the burden of ministering to a full computer playing the part of a media server. The Mac mini was relegated to server duty—which it performed admirably—and with the addition of Air Video Server to transcode non-standard codecs on the fly via my iPhone and AirPlay, there was no doubt that I sacrificed little and gained a huge amount of sanity and robustness in ditching my media center Mac mini for an Apple TV. Still, though, that whooummm as Front Row spins into place is hugely evocative. Like the cube transition of Fast User Switching before it, it made me realize that the familiar, apparently immutable desktop I’d been staring at in one form or another for a decade or so was just one way of presenting my data, and one way of understanding what my computer was doing. What’s more, like the Genie effect as you minimize windows to the Dock, it’s a terrific example of how the sorts of animations and transitions that Apple haters like to mock as indulgent fripperies are actually hugely valuable and highly considered cues to help you understand what’s happening on screen.